Turkish Warships Block Cypriot Drilling Rig In Dispute Over Mediterranean Gas Field 5 out of 5 based on 5 ratings. 5 user reviews. Amid escalating tensions between Cyprus and Turkey in the Mediterranean Sea, the two countries could be headed towards a resource war. On Monday, the Cypriot government released a report according to which Turkish warships continue to heavily restrict one of its deepwater drilling rigs from reaching its intended site off the Cyprus coast, where Italian energy company Eni is planning to conduct a drilling operation. Cyprus officials announced on Monday that Turkey is breaching “international law” by blocking the Italian ship from the drilling site, said the Russian Times. According to the Cyprus News Agency, Italy’s energy giant Eni S.p.A. said that its gas drilling ship was ordered to halt its travels by Turkish warships last Friday, citing “military activities in the destination area” as it sailed through Cyprus’ exclusive economic zone. Cyprus Government Spokesperson Nicos Christodoulides told state broadcaster RIK that the rig remains moored about 30miles (50 kilometers) from the drill site located off the island’s southeastern coast. Christodoulides further noted that Turkey’s military maneuvers expire Feb. 22. Nevertheless, Cyprus strongly condemns the illegal actions by Turkish warships. According to Marine Traffic, the rig’s status remains in “restricted maneuverability” with two other support vessels. Turkey, which does not have diplomatic relations with Cyprus, says that some areas of the so-called exclusive economic zone (EEZ) of Cyprus are under Turkish jurisdiction. The island was split some 45 years ago between the internationally-recognized, Greek Cypriot Republic of Cyprus in the south and the Turkish Republic of Northern Cyprus, recognized only by Turkey. However, Turkey’s foreign ministry in Ankara criticized Cyprus over the “unilateral hydrocarbon-related activities” by the European Union’s most easterly member. “It does so in disregard of the inalienable rights on natural resources of the Turkish Cypriot people, who are the co-owners of the island,” a statement said. The dispute over resources in the Mediterranean Sea is nothing new between the Greek Cypriot Republic of Cyprus in the south and the Turkish Republic of Northern Cyprus. This has been an ongoing argument for over four decades. Meanwhile the sea grab for resources has recently included three other regional rivals, Israel, Lebanon and Hezbollah, who are similarly fighting over resources not too far away. “Meanwhile the sea grab for resources has recently included three other regional rivals, Israel, Lebanon and Hezbollah, who are similarly fighting over resources not too far away.”..
Hezbollah ? ?, are you sure you didn’t mean Syria. 2 main parties in government in Lebanon and Hezbollah is one of them, they have a complex setup. Not sure if Syria would lay claim but if they did it may also partially explain Erdogan’s attitude towards Assad. According to a French assessment from 1947 , Syria has “vast” off shore gas” . Talking of sea, you reminded me of the importance of water and your previous comments, on the subject, as I waffle on. Catalonia, which Soros was meant to be funding, and wasn’t one of the reasons to close down that part of the Med, from Russian ships and submarines? Black Sea – who is desperate to take control, only Turkey is in charge, of who can and cannot enter. What other seas are NATO, Atlantic Council and friends also trying to control, and keep Russia out of? Where am I going with this ramble, have no idea, apart from certain nations wanting to take control of all the world’s water supplies and territories, which brings me back to what you were saying, about it all being about the water. If you are not confused, well I am. I have an on going thought that the Turkish – American “clash or dispute” is a planned drama . Via the Kurds , the US has seized most of northern Syria and east of the river , including the oil and gas fields . Now Turkey is taking Afrin and Idlib . 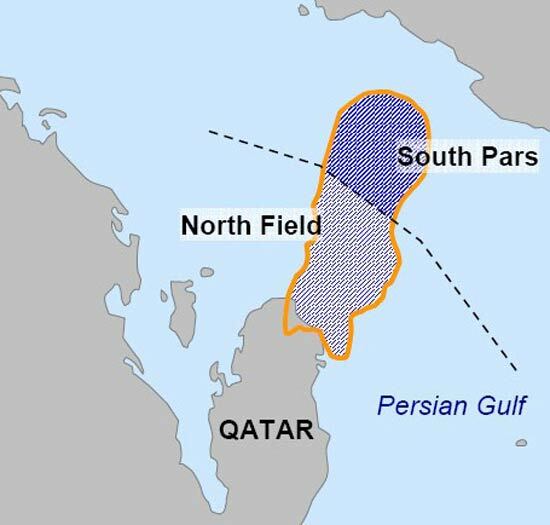 Turkey would like to acquire that “US held territory” , especially the oil fields . Erdogan might make a play for a nice chunk of the Cyprus off shore , then trade it to the US/Israel for “his” new little state-let , of course he would get the oil . This would solve Turkeys Kurdistan problem and give the Americans a way out . Only problem, neither of them has any legal authority in Syria. No doubt, they will both be sorted, when the Syrian Army has sorted out higher priorties. Yep, confused a little bit, but hey, that is pretty normal. Even though oil is water, many wells in the ME are pretty shallow and low pressure, so they need to boost the pressure, in most cases by treated water – that is one thing, but the critical of course is drinking water. I don’t know if you have been keeping up with Cape Town in South Africa or even California in the US, but the former in in crisis regards to lack of drinking water, the later is not far behind – some of the problems can be attributed to “Water Injection” and of course poor water management, but maybe if they hadn’t of cut all the forests down, the problem would not even exist. 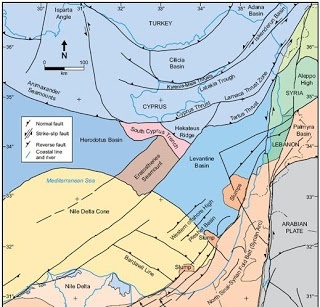 The Levantine Basin is a huge find and is Syrian, hence the occupation and I do believe I posted a comment on RI to explain how Syria could tap into it via horizontal drilling. As usual my view only. PS Have you got any spare white wine, I am gasping; I you have, get some over in 1/2 hour please. Thanks for the explanation. With regards the RI explanation, I most probably read it, but, cannot remember. My little brain is on vacation at the moment, as it is having problems keeping up or knowing what the heck is going on. 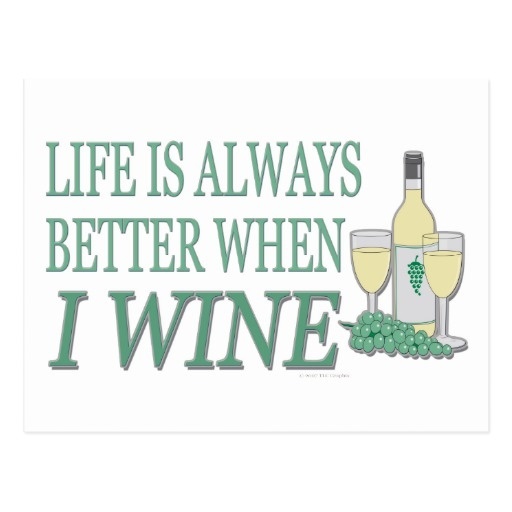 Sending some wine your way. Enjoy. By the way, missing you on RI and so many have disappeared. This is interesting, when you go back to Kissinger, back in the 60s, and didn’t he say that whoever controls Cyprus, Malta and Crete, controls the world? Just before Turkey invaded Cyprus and what came next? Who instigated it all and why? As the same old script, keeps repeating itself. When Nuland left Ukraine, cookie basket empty, she moved onto Cyprus. Giving them a list of demands, starting with stopping trade with Russia. 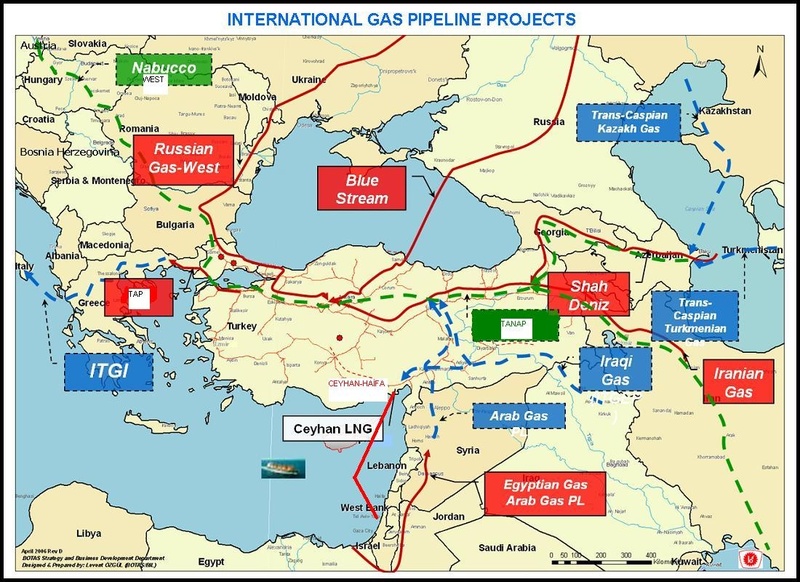 Cyprus was due to give Russia a Port and also dealings with the new found gas fields. Together with the fact that Nuland, in return for Turkey turning their back on ‘Turkstream’ with Russia, would be given Cyprus. What were all the negotiations about? Even May, Sister of Bilderberg and so loyal, to them all, was going to hand over one of the British bases, on the Island, to Turkey, classing it as a NATO Base, on the non-NATO Island, that Turkey could run, to complement their other military base, on the other side of the Island. Only, the negotiations did not work out as planned, as Turkstream and Syria has highlighted. Geoffrey Pyatt, remember the goon that Nuland was chatting to, with regards her ‘F*ck the EU’ phone call, moved on to Greece, and what was it Kissinger was saying about Crete, Malta and Cyprus? 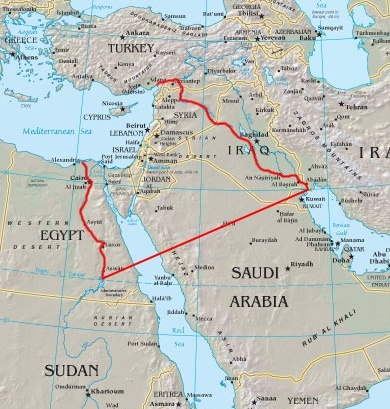 So now Turkey is playing games in the Med, with regards the Cyprus section of the Greater Israel Project? Now what could possibly go wrong or right? just let Greece sink one of the turkish junkships to teach am a lesson..
ναι αλλα πανω απο στην επιφανεια….χαμος…. well speaking the same language ,wanting to unite with Greece before the turkish invasion in 1974……i wouldnt go that far to call them ‘not greeks’. the rest that you mention…..are we talking about 1500 bc…or even 10000 bc?really? Cypriot greek and mainland greek differs more then american english and english english. If you look at their history, the time it had its own culture was way longer then after the first greek invasion (around 1500 bc). This fresh vision, could pave the way for a bright future: Cyprus for the Cypriots!! Bye bye greeks and bye bye turks!! ancient greeks were establishing colonies everywhere…this was not an ainvasion. colonies…in areas that are wealthy in resources, or near trade routes etc. 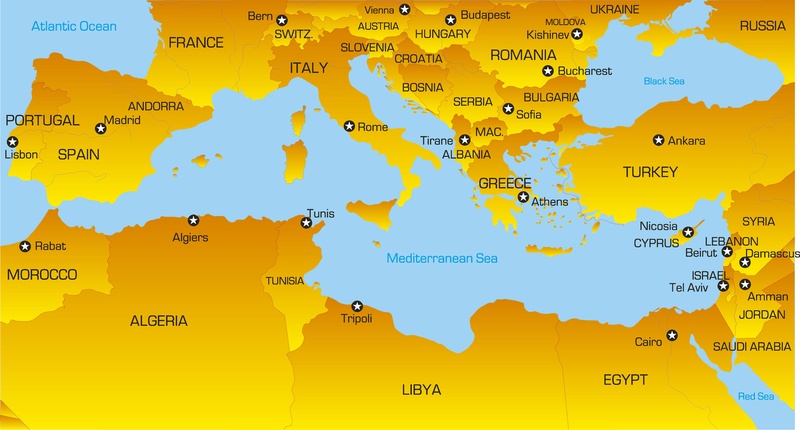 even in italy , black sea ,cyprus wherever there was sea they went there…some beleive even in spanish coasts…..so lets not alter-twist history….establishing colonies is not an invasion…. So, where did you get this “knowlwdge” about ancient history? You are aware that 95 percent of our knowledge on ancient history comes from sources that have been written 800 to 1000 years AFTER the event took place? My thesis is based on the many artifacts i have seen in the museum in the cypriot capital, ALL before 1500 bc were made by NON greeks, not by some goblins in an empty land…. The rig is not captured, if it was italian navy were involved (the rig is owned by ENI and ENI is owned by italian governement). the rig is sorrounded by 4 war ships that prohibit it from moving an inch. how to you call that?piracy maybe? The rig is not allowed to reach the scheduled perforation area, not to coming back home. I don’t call this be captured. you are playing with words……its not allowed to reach the destination by a country that has no right to be there at all…..
ik…look up for the word piracy…..or something that suits the situation….give me a proper one…..the facts are simple…i want to go to a certain place which blongs to a person A….another person ,B,…..that has no right there…surrounds me with military equipment (im unarmed) and stops me…..cant move an inch……how do you call that?under arrest? Turkish warship rammed a Greek coast guard ship earlier today. I think Greeks need to be Greeks again! And throw out the Turkish invaders! Turks belong only in Turkey. Not in everyone else’s home lands. Cypriots are not greeks, both greeks and turks were invaders. The greeks came 1500 bc, while the turks came 500 ad. The cypriots have been inhabiting the island since 10.000 bc though. Reading news like this just makes me wish harder for a genocide on the Turks. They are long overdue for punishment.